This page contains some of our favorite media training resources and links to useful information and studies on communication and related topics. 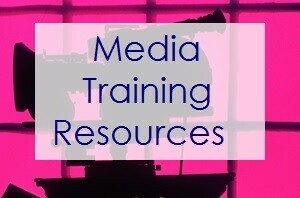 Top Media Training Tips and Communication Tips – Visit this page to see our top tips with links to read full articles. We recently created a page of videos with tips for media interviews and presentations. View it by clicking here. This video contains some general media interview tips from Media Trainer Lisa Elia, the founder of Expert Media Training™. At the core of good media training and presentation training is the further development of excellent communication skills. We have found links to articles and studies from some leaders in the field of communication. Some may be familiar to you, and some may not be, but it’s always worth a second glance to see if there’s something new to learn. Science communication: could you explain it to your granny? Body language comprises approximately 93% of our communication. Amy Cuddy, assistant professor at Harvard Business School, describes a simple way to raise confidence and reduce stress. Prepare, and manage stress, for the best performance in media interviews or presentations. It’s important to prepare for interviews or presentations in order to manage stress and avoid the fight-or-flight response, which can interfere with brain function. These articles provide some great insights. Chronic Stress Can Damage Brain Structure and Connectivity – Chronic stress and high levels of cortisol create long-lasting brain changes. Address stage fright/performance anxiety, if it is an issue. Overcoming stage fright is essential for anyone who must, or desires to, step into the spotlight with media interviews, public speaking or delivering presentations. These links provide useful tips and information. Performance psychologist and Juilliard graduate Dr. Noa Kageyama teaches musicians how to do their best under pressure. However, his tips and insights are useful for anyone who must perform in public. Good grammar and proper punctuation reflect on one’s image. Here are resources to help. the client’s location or other sites. Call us to discuss your training needs, at 310-479-0217, or email us at team@expertmediatraining.com.